With diversity in knowledge and experience, our OHS consultants can assist you with all of your health and safety needs. Excite us with your “out of the box” safety need or request. Our experienced OHS consultants love the challenge, and will rise to the occasion to make your “impossible”, possible. Standard engagements include hazard profiling, risk assessments, chain or responsibility reviews. What is keeping you up at night? You’re doing “safety”, and now looking for insights as to how effective your management it. Or, you have a system and want to see how your “Safety Program” stands up against one of the following standards: ISO 45001, AS/NZS 4801, NAT, Safety Map or the WHSMS and Auditing Guidelines (Ed 5). This is what we do. Let us help you to identify and build the documentation you need to ensure your legislative duties are met and knowledge base is not lost. We will work with you and your people to ensure that the documentation that is developed has been contextualised to the needs of your operations. Policies, Procedures, Templates. We know that sore backs, necks and shoulders are associated with computer-based work. Let us make the adjustments and guide your workers on what “safe” looks like, so they can confidently adjust their workstation. And while we’re at it, before your next equipment roll-out, let us help you ensure that your equipment is “fit for process”. Exposure to excessive noise and dust can have debilitating health impacts on your workers. Let us help you understand your workplace exposures and guide you on effective controls. It’s unfortunate that accidents and injuries happen. However, when they do, it is important that you ensure that you have the most reliable expert opinion available. Yes safety is every worker’s responsibility, however it is often not someone’s primary role. If you’re looking for safety expertise for short or long term-based – let’s talk. Understanding both the physical and postural demands of your workforce, will help you to minimise injuries and importantly return injured workers back to work faster. Safety is more effective when communicated in a clean and easy to view format. Safety documents don’t need to be dull – add fun; let us build your next poster or guidebook. Ensure that your health and safety documents are understood by everyone, including those workers or customers from non-English speaking backgrounds. Ensure that your Food Safety Program has been built to address council and government requirements. Let us know what kind of health and safety support you’re after and our OHS Consultants will get back to you about how we can help! The OHS consultants from Action OHS Consulting provide a range of health and safety consulting services throughout Australia. Whether your business simply wants to comply with your State based OHS/WHS legislation or move towards a best practice safety model, it can benefit from our support and assistance. Our experienced OHS consultants have expertise across small and large businesses which span a range of industries. Action OHS Consulting pride our work on both value and innovation and want to be the trusted OHS advisor for your business. The services we provide are tailored to meet the specific needs of your business, incorporating the latest Australian Standards, research and OHS techniques. Action OHS Consulting offer a variety of principal OHS consulting services to assist your business in building a safer workplace for your workers. If the service you require is not listed on our website, please contact us and our OHS consultants will develop a custom offering to suit your specific health and safety requirements. WorkSafe Victoria’s OHS Essentials Program is a free safety consultation service delivered by a panel of independent occupational health and safety consultants. For the last six years, Action OHS Consulting has been approved by WorkSafe Victoria to deliver this service. This program allows for one of our OHS consultants to visit your workplace and help you to identify and manage foreseeable hazards, documenting the outcomes in a practical safety action plan. To ensure you are on track, a follow up visit is also included. The program is available to small and medium sized businesses with a WorkSafe Insurance Policy. If this opportunity to receive tailored advice on managing your health and safety obligations interests you – please contact us so that we can assist you with the application process. It takes less than 2-minutes. Why wait? We understand that many organisations find managing health and safety confusing, difficult or hard. To support business’ to make OHS ‘business as usual’ and create efficiency within their safety program, Action OHS Consulting has created a software product – Safety Champion. 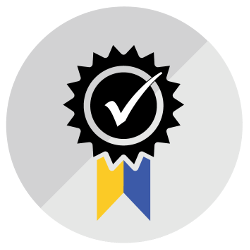 Our OHS software has supported many clients to achieve accreditation against both Australian and ISO Standards. Additionally, the inbuilt Health and Safety Manual outlines how the software will address each standard, providing a cost effective way for you to meet your moral and legislative safety compliance duties. 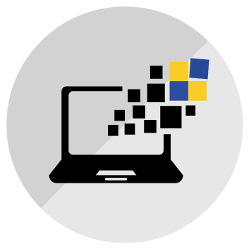 If you are looking to make safety a driver of productivity, as opposed to a burden on your business operations, our OHS Software may be the answer! Contact us for more information. Action OHS Consulting Pty Ltd is a 100% Australian owned professional and client focused Occupational Health and Safety (OHS) consultancy. Our OHS Consultants support businesses of all sizes to comply with their legislative duties. Our mission is to work with businesses to build safer workplaces together. Prefer getting your safety news on social media? Follow us! At Action OHS Consulting, we are proud of our fresh, innovative and client-focused approach. We invite you to contact us to explore your business’ OHS objectives and targets, where we will work with you to establish an OHS plan to facilitate these being achieved. Action OHS Consulting looks to partner with you and become your trusted OHS support. Our OHS consultants work collaboratively with you to build a safer workplace together. In line with the changing landscape on how workplaces can consult with their workers, Action OHS Consulting are also on Twitter, LinkedIn and Facebook. Follow us for a mixture of fun, news and technical OHS advice. Importantly, tell us what you “like” and what you would like to see. An OHS Audit assists businesses to evaluate how effectively safety is implemented into their operations. Undertaken strategically, an OHS audit program will assist a business establish a safe workplace that continues to improve. Our OHS audit methodology identifies the strengths of how a business manages workplace safety, and the opportunities that are available to improve safety performance. Our core OHS audit services include OHSMS Audits (against AS4801), WHS Director and Officer Due Diligence Audits (Section 27-5, Model Work Health and Safety Bill) and the development of Site Specific Self-Assessment OHS Audit Tools. Read more. Our OHS Consultants pride themselves on their innovative solutions. We want to work with you to provide professional and expert advice to develop custom offerings with you that suit and meet your business’ specific OHS requirements, objectives and targets. Action OHS Consulting’s services include: training and development; onsite/offsite OHS/compliance management; technical support including risk assessment and hazard profiling, and; customised IT System Development. No OHS project is too big or too small. Read more. An OHSMS is the documented OHS policy and OHS procedures that define the intentional way that a business creates, manages and monitors a safe workplace, which will ultimately improve their OHS performance. An effectively implemented OHSMS is fundamental to deliver an organisationally consistent and effective approach to safety. Our core service see us work closely with your business to develop an OHSMS that is specific to your business’ needs and that addresses your business’ OHS hazards and risks. Read more. Repetitive and prolonged use of an incorrectly setup computer workstation can lead to muscle discomfort, which may result in injury and reduce productivity. As an employer, you have a duty to provide a safe workplace. Our core ergonomic assessment services will provide you with confidence that your workers have their workstation setup safely and understand what good workstation setup looks like. Read more. Workers who are exposed to excessive workplace noise and dust can incur associated health problems. The legislation outlines Occupational Exposure Limits (OELs) for workplace noise and dust hazards that a business must comply with. Our core noise monitoring and dust monitoring services are conducted in line with the appropriate Australian Standards. Monitoring methodologies are developed specific to the OHS needs and OHS objectives of your business. Read more. Action OHS Consulting has a team of ergonomics consultants who provide evidence-based expert opinion concerning causation of workplace or public space incidents and injuries. Our ergonomics consultants, via their expert opinion will address the statutory obligations of designers, suppliers, manufacturers, builders, and employers through review of safety management systems using their extensive industry experience and training. Read more. Contact the OHS consultants from Action OHS today to see how we can find the best solution for your health and safety needs!